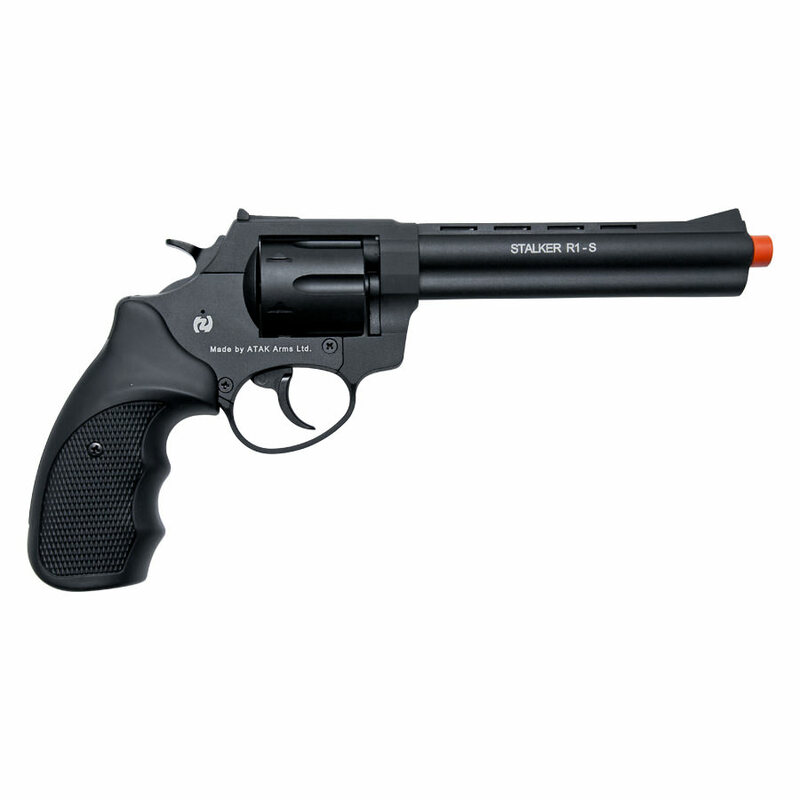 Stalker R1 6" Barrel Revolver Black - 9mm Zoraki Blank Firing Gun. Fires .380 Blanks or 9mmPAK Blanks, Top-Firing, Semi-Auto, Metal Alloy, Black finish. This classic style revolver is sleek, reliable and a great value for the price. The action works just like the original, with a 6 shot cylinder that swings out for easy reloading. This blank firing revolver fires .380 blanks or 9mmPAK. 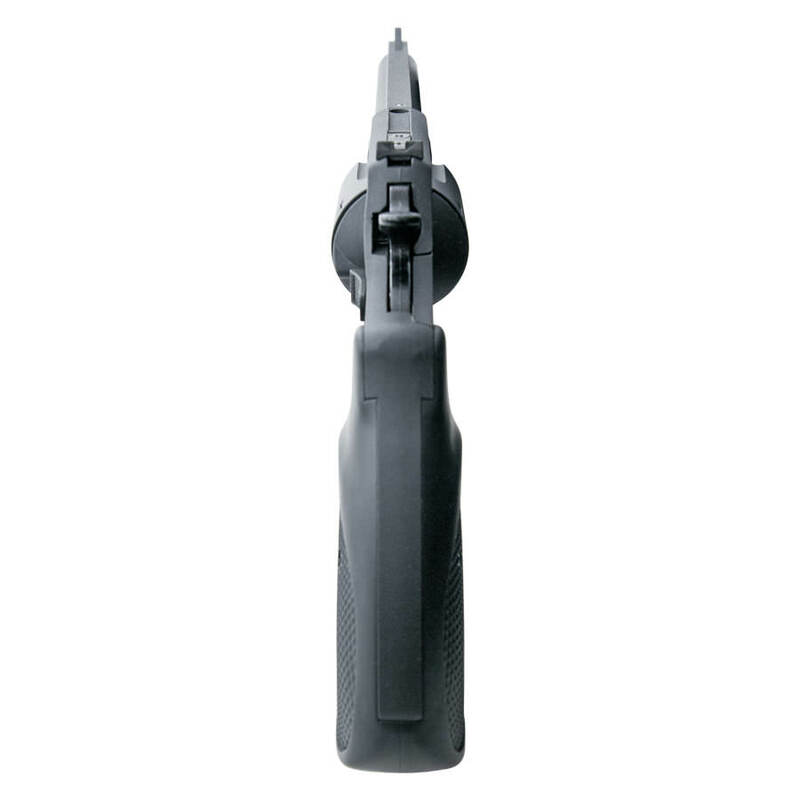 Features a working shell ejector to expel spent cartridges easily. Fires both single and double action. Can be disassembled by a qualified gunsmith. Cannot be made to fire real ammunition. 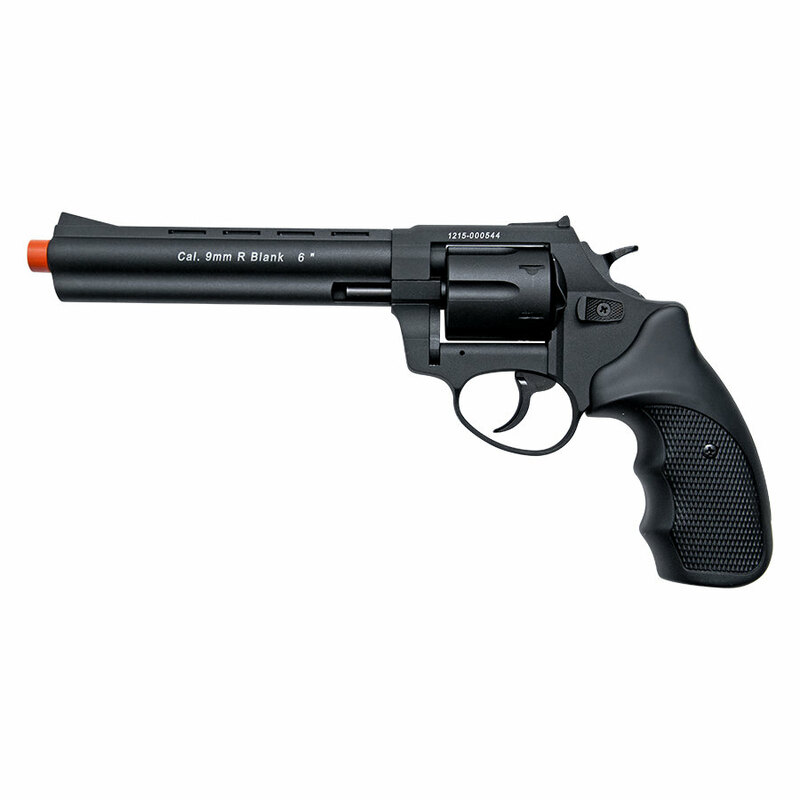 This replica is an ideal blank gun for theatrical, movie, or reenactment purposes. This is a top firing blank revolver. The flame and smoke is vented from the top of the barrel.